Leighton Properties Managing Director Mr Mark Gray described the purchase of Moonee Ponds' Readings site as "Consistent with Leighton Properties strategy to focus on inner ring urban renewal sites which are in prime locations, close to transport links, retail and places of work." Sixteen months later and the boom site covering more than 13,300sqm is for sale with JLL and CBRE jointly offering what was formerly home to the Moonee Ponds Market. With six street frontages and high expectations for a landmark urban renewal development, Leighton Properties and joint venture partner Qualitas snapped up the vacant land for $23 million. 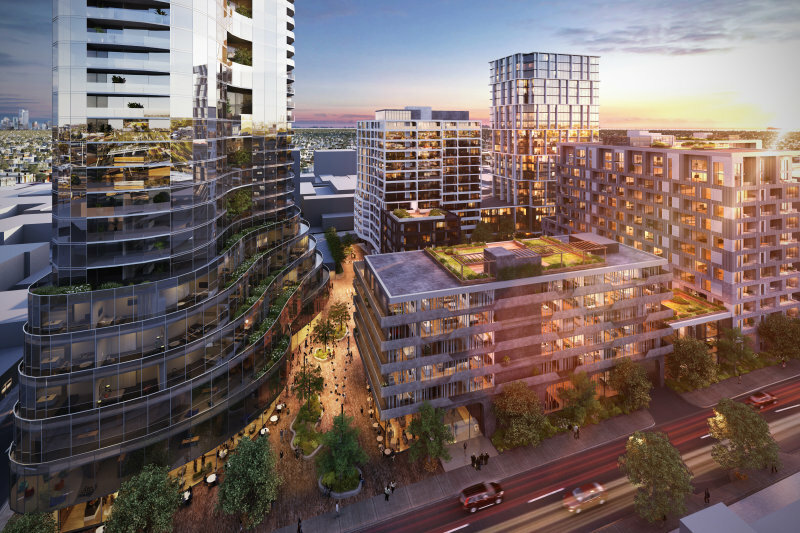 During their October 2013 announcement, it was stated via Leighton Properties' website that the staged development would likely provide in excess of 800 apartments and 2,000sqm of retail, with an end value near on $450 million. Seen above is the design for the sole plot of the sprawling site which the joint partners advanced to planning assessment with City of Moonee Valley. Covered first by Urban Melbourne during October 2014, the residential tower would have 162 apartments within its 15 levels and include retail outlets fronting Hall Street. Along with associated landscaping and provision for a pedestrian link the scheme would cover 2,388sqm or over 17% of the total development area. Plus Architecture are responsible for the initial planning application, and it's more than likely that they too are responsible for indicative scheme seen below. 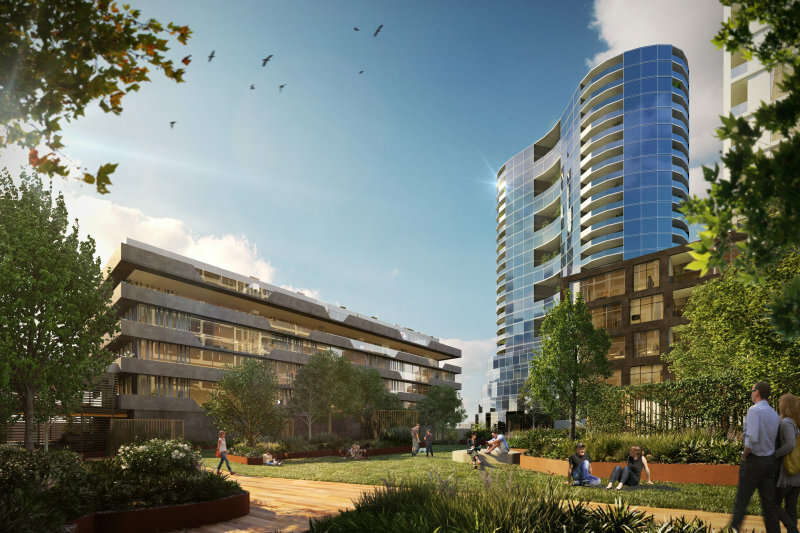 Accompanying online sales information are a number of high quality concept images designed to provide context for prospective developers; 1200 apartments within seven buildings is the nominated site outcome. Two residential towers in excess of 20 levels headline the concept scheme, followed by the at planning 40 Hall Street and a number of smaller towers thereafter. Included within the scheme is the envisaged north-south pedestrian link/public open space which City of Moonee Valley had requested, in addition to a number of other key site criteria that have been sent to the Minister for Planning for approval within site specific Development Plan Overlay. In September Council asked the Minister for Planning to approve and include in the Moonee Valley Planning Scheme a Development Plan Overlay for the site. We are currently still awaiting approval. As to the motivations for Leighton/Qualitas offloading this prized site with a staged delivery timeframe most likely over a decade? According to this AFR article Leighton Propeties as an entity is for sale after its parent company (Germany's Hochtief) refused to provide rental guarantees to support some projects in its development pipeline. Leighton's Properties thereafter began offloading a number of future development sites with the Moonee Ponds Market site set to be the latest. 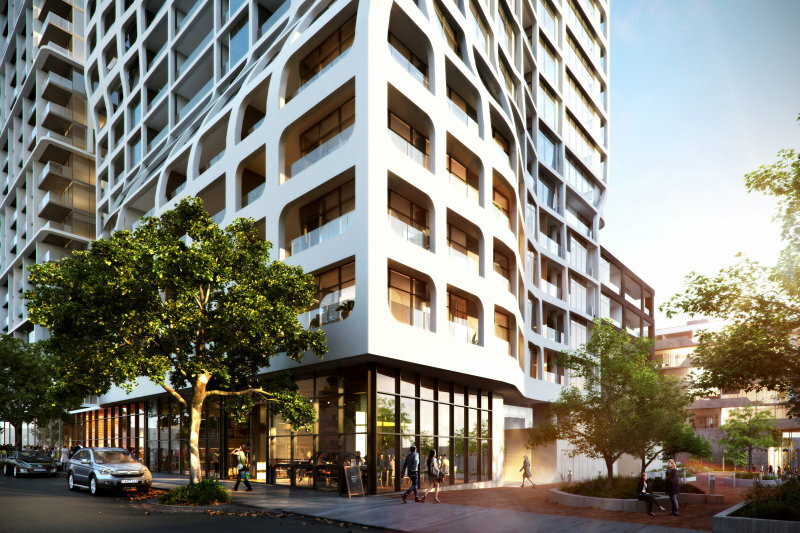 Nonetheless opportunity has arisen for a developer to assume the reigns over one of Melbourne's blue-chip development sites.